On Saturday March 3rd I ran the Best Damn Race Half Marathon in downtown Orlando. It was a crazy day ... Mason's last basketball game, Anderson's birthday party, and my mom's birthday. Unfortunately all of that meant that I went to my race alone and didn't have my family cheering me on. I was lucky to have friends racing the 10k who hung out with me before start time, and I had friends who watched me finish. It was a chilly morning and I considered keeping my long sleeve shirt on for the race ... luckily I talked myself out of that and kept it at bag check. The race had a lot of cobblestone ... not my favorite running surface. It's unsteady and the fear of falling is usually overwhelming. Fortunately there were also sections of the race on asphalt/road. I maintained an excellent pace per mile until about mile 10-11. I just started to get slower and slower and wanted the race to end. Around mile 12 I saw my friend Mike and that gave me the motivation to pick up the pace and kick it into gear until the end. With less than 1/4 mile to go I heard him and his wife Christina cheering me on and I sprinted to the finish. They were kind enough to wander around with me while I collected my things from bag check and grabbed a beer. On Saturday March 24th I ran the final race in the Track Shack's Fanatics Series. The ZKS Winter Park Road Race 10k was the 6th race of the season. I placed 9th in the Women's division 35-39, with a time of 47:23 minutes. After the awards ceremony for the race, they did the awards ceremony for the Fanatics Series. I placed 3rd in my age group with only 29 points (they award points for each race based on whether or not you place). Unfortunately they only handed out awards to the first place finishers of each age group so I did not come home with any awards, boo. I've already signed up for the series for 2018-2019 so fingers crossed I get much faster and beat out those speedy 35-39 females! On September 16th I ran in the 2nd race of the Track Shack fanatic series, the Battle of the Bands 5k. The race took place in the city of Casselberry, with a different route than last year's race. This was a busy day in the Chalmers' household ... Mason had a soccer game and soccer photos at 9am. There wasn't much time after the race for me to enjoy the festivities but I did manage to try 2 of the craft beers that were available at the beer tent. The bands played awesome and made the race that much more enjoyable. I ran in new-to-me New Balance racing flats, but didn't beat my time from August's 5k. The 1500v3 were comfortable and made me feel like I was racing fast. I still managed to finish 2nd in my age group with a time of 22:43 minutes (7:18 min/mile pace). 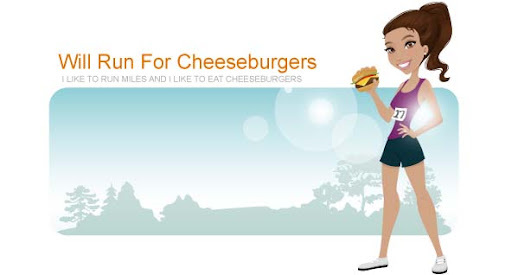 I have a silly notion in my head to run at least 3 miles, every day, for the month of July. I don't plan on running every single day without a day off ... I just want to average 3 miles a day, so sometimes it means running more than that. Since I won't be running Saturday and Sunday this weekend, I wanted to "make up" my miles ahead of time and set out to run 8 miles today. Normally I have no issues with running this many miles. Except today I started at 9:15am which made it really hot and humid already. I carried a small 8 ounce bottle of water with me to help with hydration since there weren't any water fountains on my route. I began my run by walking for 5 minutes while I chatted with Katie on the phone. Then I ran without breaks until mile 7. At this point I walked for a minute, ran for 2 minutes, walked for another minute, ran for 3 minutes, and finished off walking. Afterwards I jumped in the pool fully clothed and tried to cool down before attempting a shower. Usually I wouldn't be in such a hurry to make myself presentable, but I had a fingerprinting appointment for a substitute teaching job at Anderson's preschool. Of course I get to my appointment too early and notice a Cuban restaurant a few stops down in the shopping center. I had never heard of Heber's Cuban Café but decided to give them a try for lunch. I'm not sure what the reasoning is behind it, but the restaurant doesn't sell pork products. If you've ever ordered a traditional Cuban sandwich you would know that there is sliced pork along with ham on it. Turkey Ham, Turkey Breast, Pickles, Mustard, Swiss Cheese & Potato Sticks. I decided to give it a try ... who could mess up a sandwich? It wasn't a bad sandwich ... it just wasn't a Cuban sandwich. Hopefully this place has other menu items that are more authentic, otherwise I'll just go to one of the many other Cuban restaurants in Orlando. The fried yucca was good as was the sugary Materva I washed the meal down with. Also what's with the fried potato sticks? Those are usually found on the Cuban burger, the frita, but I had never eaten them on just a regular Cuban sandwich before.